The Osage Nation has joined the fight against the use of “Redskins” in the National Football League. 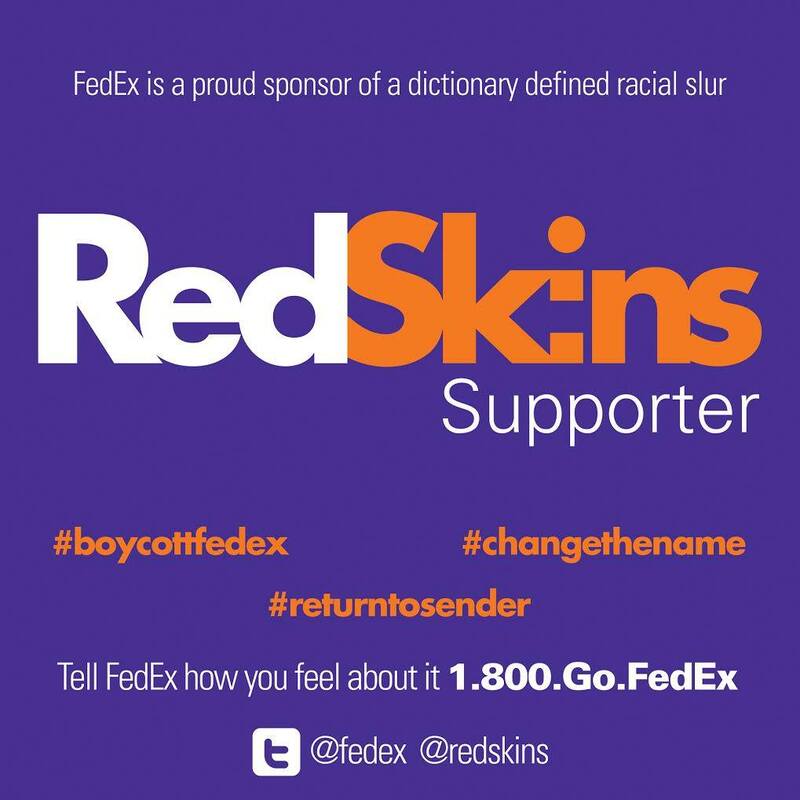 Principal Chief Geoffrey Standing Bear instructed employees of the Osage Nation Sept. 23 to boycott FedEx until the Washington NFL team changes its name and mascot. The NFL team plays their home games in the FedEx Stadium which FedEx paid $207 million for naming rights in 1999 as part of a 27-year deal. Standing Bear said the word is disparaging and offensive to Native Americans. Standing Bear said other reports reveal that the word “Redskins” is derived from a horrible former practice of removing the skin of Native people as proof of the kill for the purpose of collecting bounties. The announcement to Osage employees went viral. Local, state and national outlets reported on the boycott. Message boards filled up with mixed reactions by both Natives and non-Natives. In June of this year, the Trademark Trial and Appeal Board ruled against the Washington NFL team in a 99-page decision calling the name “disparaging” and said findings showed 30 percent of Native Americans found the term offensive, that’s one in three Native Americans. The case, Blackhorse et al v. Pro-Football Inc., was filed eight years ago. The Washington NFL team is appealing the decision. Suzan Shown Harjo (Cheyenne/Muscogee), President of The Morning Star Institute and a guest columnist for Indian Country Today, first filed the case in 1992 in Harjo et al v. Pro Football, Inc. She lost the case in federal court in 1999 when it ruled she did not have the standing to bring the case forth because she had waited too long after the age of 18 to file her case. After the loss Harjo recruited a younger class of Natives to bring the case forth, one of those Natives was Amanda Blackhorse, Navajo. Harjo first met Blackhorse at a rally against the Washington NFL team in 2005. She wanted to find Native Americans willing to be plaintiffs in the case ages 18-24. Blackhorse, 24, signed up and her friend who was also hosting the rally wanted to sign up but was 25. That friend was Ryan Red Corn. Red Corn, who is an Osage artist and is part of the popular all-Native comedy group the 1491s, was asked by “The Daily Show with Jon Stewart” to appear on a segment about the NFL team. The segment was going to pit a Native American panel against “Redskins super fans” and let them ask each other questions about the team name. The four super fans were from Virginia and the all-Native American panel was made up of Red Corn, Blackhorse, two of Red Corn’s 1491s partners – Bobby Wilson and Migizi Pensoneau – Tara Houska (Ojibwe), Greg Deal (Paiute), Michael Woestehoff (Navajo), and Simon Moya-Smith (Oglala Lakota). Red Corn said the meeting between the super fans and the Native panel was awkward silence at first, all shook hands with each other and everything was civil. The discussion began and then both sides began to argue and it quickly escalated to yelling. One of the super fans began to cry and later tried to file a police report because she felt threatened after Wilson of the 1491s offered her a tissue, Red Corn said. The police dismissed her report for lack of a crime. The next day Daily Show staff wanted to film the Native panel at the Washington NFL team’s first home game against the Jacksonville Jaguars for extra footage for the segment. “At the game, right when we got to our tailgate spot, Pensoneau went to the bathroom and was wearing a t-shirt that said Caucasian and a white lady came up to him and said, ‘You think your shirt is f-ing funny, I will f-ing cut you.’ He put his hand in his pocket and pulls out his phone and says, ‘Can you say that again?’ She says ‘F-you,’” Red Corn said. He said his group began speaking to some fans “about football, not the team name” but the cameras made some of the fans nervous and the fans asked the group to leave. As they were walking back to their tailgate spot, more Washington fans began noticing them and The Daily Show cameras. Red Corn doesn’t know when The Daily Show segment will air or what will be in the segment, but he’s been told it could be any day and the decision could be made right before the show begins. “The Daily Show with Jon Stewart” airs Mondays-Thursdays on Comedy Central at 10 p.m. CST.